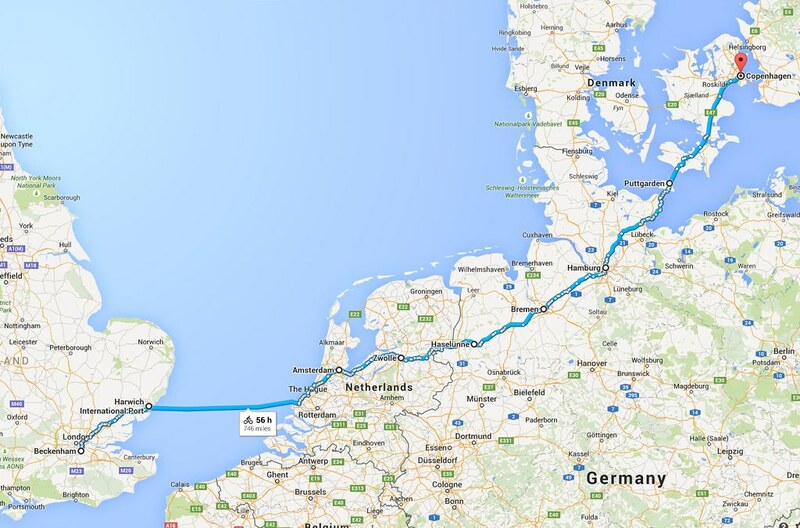 Dunkirk to Hook of Holland. Recommendations please. I rode Calais to Amsterdam a few years ago - can't find or remember the route, apart from that we stayed pretty near the coast most of the way. We did stay at the Cube House hostel in Rotterdam though, which was super cool. On site secure bike storage as well (at the time). Flying will be a lot cheaper and quicker, but if you have the time and money the ferry plus continental trains would get you there and be a lot more fun... there is nothing quite like cycling onto a massive cross-channel ferry. Although if you're flying budget I think they land at 'Hamburg' Lübeck anyway! 2018-05-15 Ped/Cyclist near Bloomsbury / Gt Russell? Walked past as the ambulance was getting their trolley out to load the patient up. Looked very serious but I'm reading it as positive that they were being taken off to hospital relatively quickly. Fingers crossed for the rider. It was a left turning Tarmac truck btw, turning from Bloomsbury St into Great Russell Street. Rider either turning left as well, or going straight on. 3rd on the gilet pls! Wanted: PDW Full Metal Fenders, Black. Ha! They've totally ripped the design off, an exact copy! I'll wager that the quality is nowhere near as good though, and that the ring is crap in comparison. No cheap, but worth it. I got one from the original kickstarter, but they sell them at Tokyo Bikes, BLB etc. PM'd as well. Dirt cheap! Interested in the Ultegra cranks. Do you know the BCD?